In many backyards and apartment complexes nowa­days there is usually some form of a swimming pool. It can vary from a plastic eighteen-inch pool to a lavish deep tiled pool. If you have a backyard pool of any type I feel it is very important that children should be swimming on their own as soon as possible. If you don’t own a boat or a swimming pool, or have some friends who do, you can leave teaching them to swim until they are five. If you are thinking of building a new pool, my advice is to provide a shallow end for the children. Even if those building the pool have no children, I would still advise providing a small area that is not deep and can be used for nonswimmers and young children. If space permits, the most practical pool is a T-shaped one. One of the short ends of the T should be very shallow, from eighteen inches to two feet. The other short end of the T, for diving, should be eight feet deep, while the long end of the T will be used for swimming and should be about four feet deep. The next best thing would be an L-shaped pool. The short end of the L shape could be built to cater to nonswimmers, and the long end of the L would have a continuous five-feet depth. If there is no room for spreading out, you should build fairly wide steps that can serve the purpose of a wading area. I’m very much against building odd-shaped pools, the most popular being the kidney shape. They look very pretty and picturesque, but are completely use­less. The only way you can swim in a kidney-shaped pool is around and around, like a goldfish. If you are the proud owner of a swimming pool, you will soon discover that you have more friends (espe­cially in the summer months) than you ever imag­ined—and a host of problems you didn’t think of previously, such as what approach to take with your own nonswimming children, with the neighbors’ chil­dren, and with your friends’ children. Before giving the okay for a swim for the children of neighbors and friends, give them a swimming test. Find out whether they can swim in the deep end. Can they tread water? Are all of them strong enough swimmers for you to feel confident? If the answer is yes, fine. If not, make sure that a reliable adult is around every moment while the children are in the pool. Another good idea is to set aside certain times for public swimming. It makes life easy for you and your friends, since everyone knows when they can invade your pool. But what to do with your own toddlers? 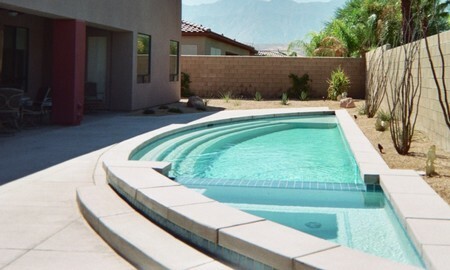 My advice: For most pool owners, the major problem is that they have to learn to live with danger. Don’t, like most parents, tell the children all the time, “Don’t go near the water, or you’ll fall in and drown.” All this does is teach them fear. Instead, I would let them crawl and walk around the pool—when you’re with them, of course, or close by to handle any emergency. If the child is too adven­turous, and keeps getting into dangerous situations, I would eventually let him fall into the pool once, just long enough for him to drink two mouthfuls of water. Then say, “See, this is what mommy was talking about . . . this is what can happen to you.” This is usually enough to teach children to be more careful. Having a fence around any pool area is a necessity. Is this the only solution to water safety? No.’ I recently taught the surviving brother of a child who climbed through the hole dug by the family dog under the fence. Also, often the fence gate is not closed, whether through carelessness or a malfunction of a self-closing device. And children will even pile toys or whatever else is handy and can climb six-foot-high fences. Fencing is a barrier but not the solution. The best answer is constant supervision, teaching the children how to swim, and having a good-quality fence around the pool with a self-closing gate. Learn cardiopulmonary resuscitation (CPR) and have a tele­phone at poolside.